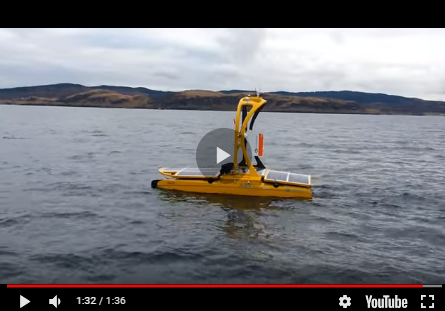 L3 OceanServer has been granted a five-year General Services Administration (GSA) schedule for its Iver3 Unmanned Undersea Vehicles (UUVs). This GSA schedule gives registered government agencies a simple path to procure Iver3 UUVs using pre-established pricing and terms & conditions. A contract was awarded for two Iver3 UUVs and associated training, effective 19 December 2018. The Iver UUV is a commercial-off-the-shelf product built with warfighter-driven attributes. It features longer runtimes and precise navigational accuracy, enabling long ingress/egress missions that provide greater standoff distances and increased mission safety. L3 OceanServer has a history of working with various government agencies, including the United States Marine Corps and the United States Navy, making this GSA contract a logical next step in business development. L3 OceanServer is part of the Integrated Maritime Systems sector within L3’s Communications & Networked Systems business segment. Since its inception in 2003, L3 OceanServer has sold more than 300 AUVs worldwide, providing highly capable solutions to a broad array of military, commercial and international customers. To learn more about L3 OceanServer, see here.